« Malice In Wonderland – Release New Christmas Song! 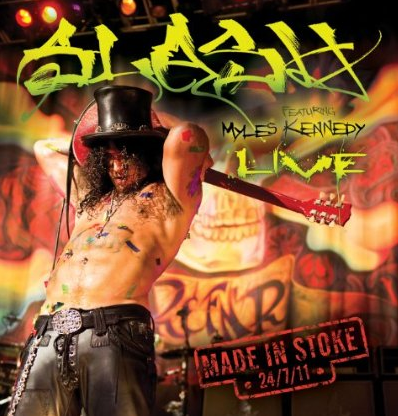 SLASH Featuring Myles Kennedy LIVE – Back on November 15th, SLASH Featuring Myles Kennedy LIVE / Made In Stoke 24/7/11 was released via Armoury Records. SLASH has a storied career with Guns N’ Roses, Velvet Revolver and his own SLASH’S Snakepit on his enviable Rock ‘N Roll resume. This set of live songs from the certified Rockin’ career of SLASH is essentially listening to a mandatory chapter of Rock history. I purchased the double CD version, (a 2-CD with a DVD version is out there as well). Check out below my 5 reasons you should BUY this SLASH CD! 1. – This is SLASH, you know, the former and REAL Guns N’ Roses guitarist playing some classic Guns N’ Roses songs. The live versions of Paradise City and Mr. Brownstone (for example) are embellished with the trademark guitar tone and licks of the legendary SLASH. Truly one-of-a-kind is SLASH. Accept no substitutes for I sure as hell don’t. 2.- Myles Kennedy. 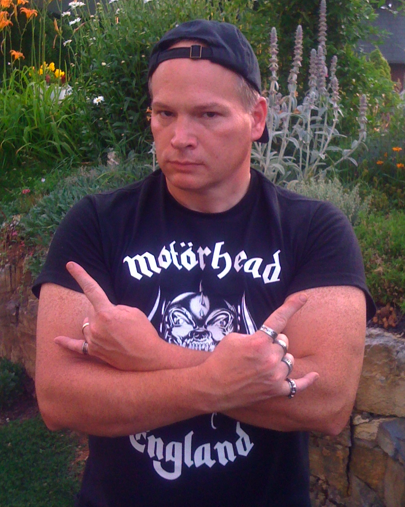 Yeah, yeah, yeah… Myles Kennedy is no Axl Rose only Axl Rose is no Myles Kennedy either. Myles sounds amazing on this live album and he is a top ten Heavy Music vocalist for my ears any second of any day. 3. – The entire band ROCKS so fluently together on all 21 songs. Seriously, to think otherwise you must be constipated. Todd Kerns (bass, lead & backing vocals), Brent Fitz (drums) and Bobby Schneck (guitar, backing vocals) play tight and sound like they’ve been together with SLASH and Myles for decades. 4. – This live SLASH CD has put me in a good F’n mood each and every time I’ve listened to it. The Rockin’ energy that these live songs give off is contagious to my senses. It’s like I’m getting hit in the face with a psyche-you-out bat, every time I play this addicting CD. 5. FUN. Oh, oh… I just used the “F” word. If you’re not into FUN then this is not the CD for you. For the rest of us who like to jump around and go crazy while listening to our favorite bands and songs, SLASH has kept the F’n FUN in his R&FN’R! Bonus Reason To Buy: It doesn’t sound like there was an over abundance of production tweaking going on for this live concert recording. Okay, so we live in a digital age, still, the overall RAW Rock ‘N Roll Thunder that SLASH and his band dishes out here is evidence to me, that less is more when it comes to producing a live album in 2011. When I play this live SLASH CD extremely loud, I swear I’m actually there that evening in Stoke… and I wish I really was. This entry was posted on December 15, 2011 at 12:30 am and is filed under classic rock, Hard Rock, hard rock albums, Heavy Metal, heavy metal news, live rock albums, Music, rock music, rock music news with tags Hard Rock, hard rock albums 2011, heavy metal news, live rock albums, rock music news, slash, slash featuring myles kennedy. You can follow any responses to this entry through the RSS 2.0 feed. You can leave a response, or trackback from your own site.